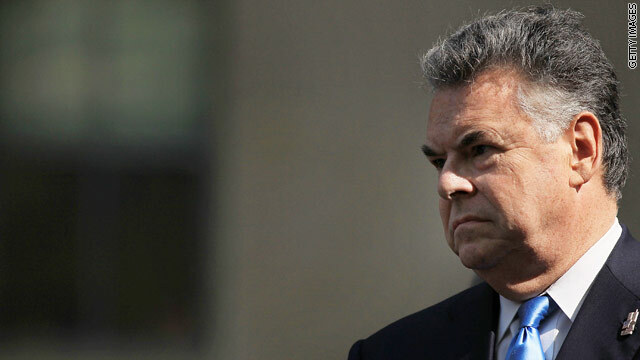 Washington (CNN) – New York Rep. Peter King is headed to New Hampshire later this month on a trip that includes a meeting with a well-placed Republican operative and a speech to a group that aims to elect local Republicans. King, a Republican from Long Island, will travel to the state on December 16. He will give two speeches – one to a group of state troopers and another at the Christmas Celebration for the New Hampshire Committee to Elect House Republicans. During the day, King said he plans on meeting with local media and talking to other Republican operatives in the state. This is far from King’s first trip to New Hampshire. The congressman has visited the state a handful of times in 2013, including speaking to the New England Council's "Politics & Eggs" breakfast in October and delivering remarks at two GOP events in September. King seemed to stoke presidential speculation in July when he told reporters that he was being urged to run for president by colleagues concerned about the party's direction on matters of national security. The congressman said on Friday that he wouldn't make up his mind about a presidential run for “another year-and-a-half,” but said he understood how this latest trip to New Hampshire would further fuel speculation. In defense of the trip, King said he is “just taking advantage of an opportunity” to see what people outside of Washington think about politics and the Republican Party. I don't know what sort of nation wide, fund raising support that King could drum up in a national election. But, if Rudy Guiliani , America's Mayor, couldn't crack the code, then I don't see how a mere Peter King could do it, either. Besides, Mr. King is far too much of an establishment RINO in the eyes of the base. He doesn't score high enough on the "wacko bird" purity tests. This is totally ridiculous.... Every time a Republican visits another state, the media pegs them as a potential presidential candidate. Enough of this stupidity please. You don't do this with the Democrats. Why do you do it to the Republicans? Who cares if Peter King is going to N.H. Why haven't we heard a peep yet from the GOTP about today's jobs numbers? LOL. Not much to say about this guy except another clown climbing into the teaklan car. So many clowns, such a small car, the amazing Republicans! This guy talks a good game, he dislikes Cruz, a big plus for him there. Peter King doesn't have a chance as a republican candidate. He comes across as far too sane and lucid. Meh... he's got limited name recognition outside his district. Don't waste your time. I bet these GOP thugs are gone, I was reading WSJ, US Oil Prices fall as gulf glut forms.. You can google on U.S oil prices fall sharply as glut forms on gulf coast. Great news for Obama administration. New York Rep. Peter King is headed to New Hampshire for a free meal . Oops. Looks as if Obama's Kenyan uncle shut down the ticker for the day. Honestly Rudy, the lies yo umake up in here on a daily basis rival the Obama adminstration!! Advicating forming a militia? to hunt down illegals?? Without a trial??? Like I said, we don't even have to round them up, just deport the ones you catch now, instead of just letting them go, as they do now. Their hearing would be expedited and they would be required to remain in custody until deported. Anyone can go back and look at the article Tommy. "I pray that our federal government will start enforcing our current immigration laws and start rounding up and deporting the milllions of illegal country invaders that live here without fear of being deported because our own governemnt refuses to enforce the laws of this nation." That is what you wrote yesterday, Tommy. Not what you just posted. And the Democrat Clown car has an accomplisment-free exwife of a President that was an accomplice to murder and a looney VP that tells people to shoot shot guns into the air and makes racial slurs about blacks and Indians. "you cannot go to a 7-Eleven or a Dunkin' Donuts unless you have a slight Indian accent." They always want to blame Obama for high gas prices I am sure they will have a news release thanking him for bringing the prices down. rural agricultural states of course do not have high per capita income rates. maybe they should increase the price they charge for all the food they produce for those blue states ten fold so they make what the thieves in the city financial centers make? they work ten times as hard for it. you people are all for social justice and wage equality right?